One of my favorite subjects to teach/learn with the kids is history. We have enjoyed Story of the World for a few years now, along with many classic stories from books like Little Stories of Famous American’s and 50 Famous People. 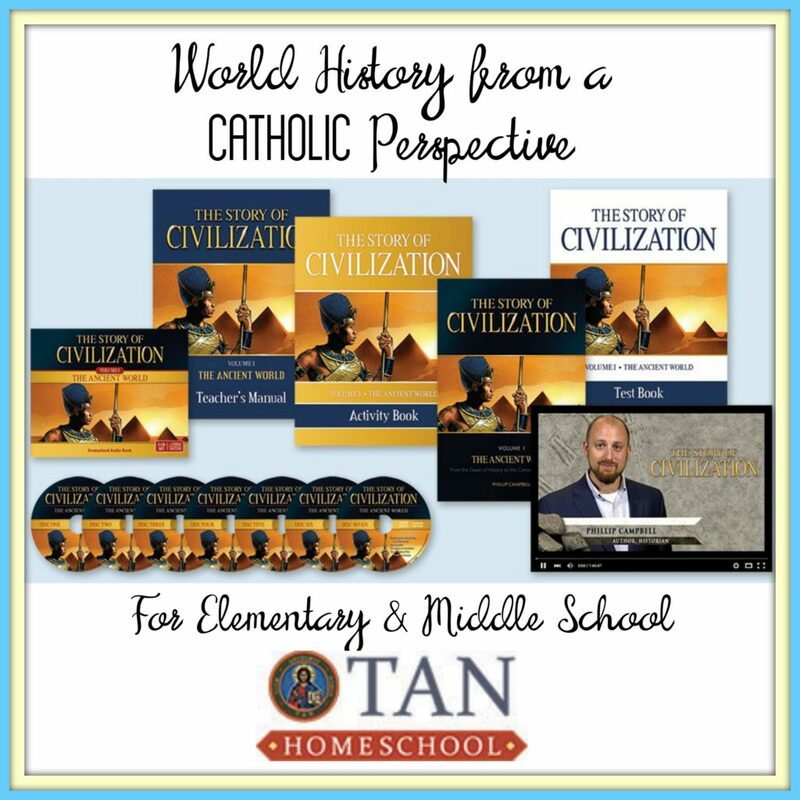 This year, when TAN Homeschool emailed me about their new Catholic elementary history curriculum called The Story of Civilization, I LEAPT at the opportunity. They sent me an e-book copy of the book & test bank and they are FABULOUS!!!! The Story of Civilization is the first in a series of 4 books with one being released each year, starting with ancient history. Like the Story of the Bible series I shared last year, there is a text book, a test book, a teacher book, an activity book, an audio book and a DVD series to go with each. New with the history series is a timeline. I have been using classics and Story of the World up to now but there is always some editing to be done. 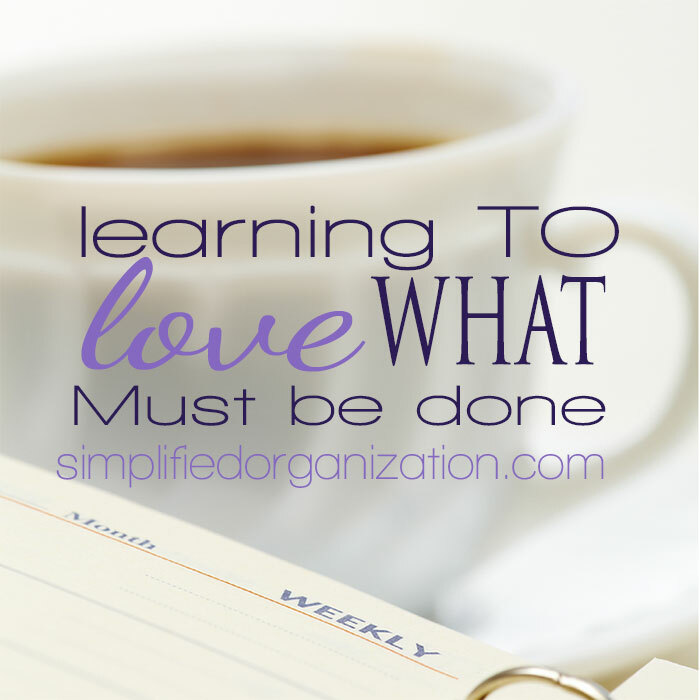 SOTW always has something that needs to be skipped, especially since I am working with early elementary students. Opposing viewpoints, in my opinion, are better saved for older students. Not only do I need to skip things, but then I need to add in my own Saint & church history. And I’m not expert enough to add it all chronologically :). If you are #Catholic & like Story of the World, you will LOVE These! I got a free electronic copy of these from @tan_books a few weeks ago and devoured the first few chapters. My galley copies arrived today. I can’t wait to read more!! 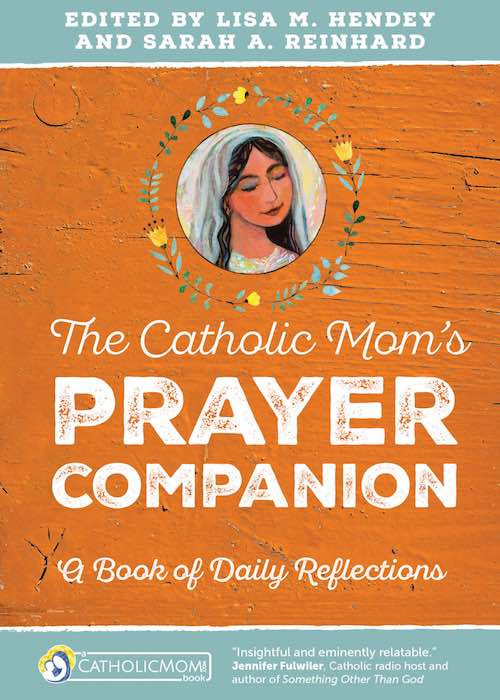 From a Catholic mom perspective, I LOVE The Story of Civilization! It’s well written and very much in the style of Story of the World. There are stories of what life may have been like, making it more memorable. There aren’t a bazillion dates, which I personally don’t find as valuable as a general idea of sequence. It includes selections from period literature and tidbits like the Sumerians creating our measurement of minutes & hours. The Story of Civilization also includes biblical history as a fact, rather than as just another myth or religious story on equal footing to any other. I also like that other gods and goddesses are mentioned but are not the main focus. In SOTW1 (which we just finished last year), it seemed to spend a lot of time on Egyptian gods and lore and on their religions, but less on Old Testament stuff. This is probably fine from a secular POV, but I much prefer The Story of Civilization as a faithful Catholic. Like the bible curriculum, The Story of Civilization book/audiobook are intended for use in grades 1-8, so you can do multiple ages together. 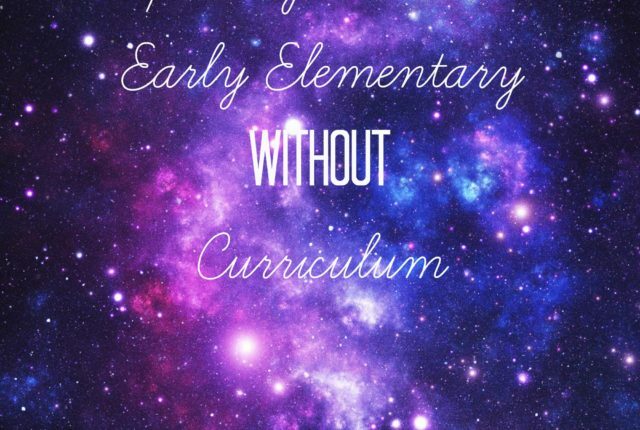 We do history with grades 2 & K4 and it works fabulously! 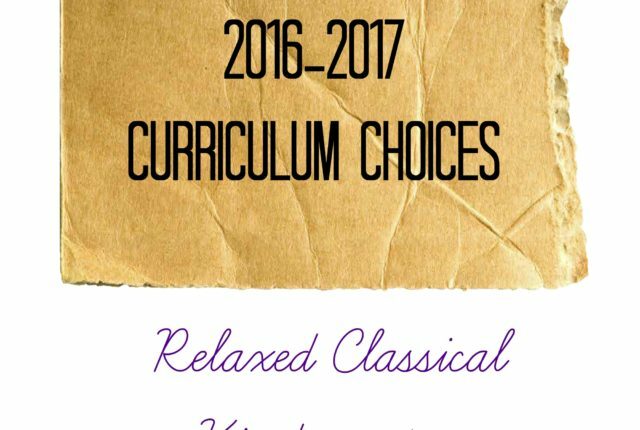 The Story of Civilization curriculum components cover just about every learning and educational style. CM homeschoolers will like the text and narration exercises. Auditory learners will enjoy the audio book & videos. Visual learners will enjoys the videos, timeline & worksheets. Kinesthetic learners will love the project ideas. They have done a fabulous job making this a well-rounded elementary / junior high history program. The ideal age range for the teacher & activity books are grades 1-4. The test book consists of a two page test using multiple choice, T/F and a little short answer, making them better for older students (grades 5-8). The timeline folds up like a map. When unfurled, it is 36″x18″ and gives a great overview of how different pieces happen at the same time. The purpose of the videos is to introduce the material a little more hands-off so that you can change diapers or pull the toddler off the china cabinet. Or maybe that’s just my house :). These are all available for preorder and should arrive in June or July. Even if you are not a homeschooler, the dramatized audio book would be great to listen to in the car while going to lessons or on road trips. I am super excited about this curriculum and read it to myself during my vacation last month–because *I* enjoyed it! 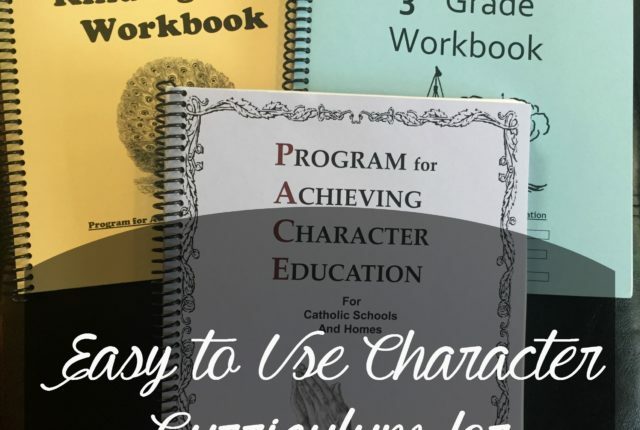 Go check out the new Catholic History Curriculum at TAN Homeschool! !